Why do trees lose their leaves? 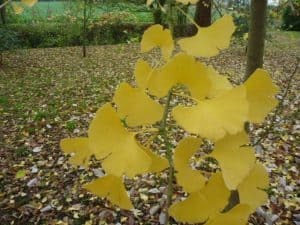 Deciduous trees lose their leaves in autumn, the process takes place over four to six weeks as daylight hours shorten and temperatures decrease. This provokes the tree into the process known as abscission. The tree produces a cork like substance which slowly blocks the veins within the leaf and acts as a coagulant to ensure the tree doesn’t bleed to death once the leaf falls. At the same time the circulation of liquid around the leaf gradually lessens. Just before the leaf falls some useful nutrients are taken from the leaf and stored in the stem for later use. As water supply to the leaves lessens the chlorophyll is unable to keep the leaf green, this leads to the spectacular colours seen in different trees in autumn. Various shades of red,gold, orange and yellow can be seen dependent on the different levels of carotin and xanthophylls present in the leaves. 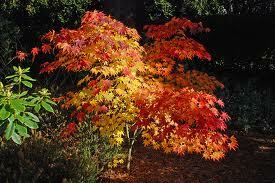 Shade can also determine how well a tree will display its autumn colours. When the process of abscission is complete the leaves simply fall from the tree. A large oak tree has on average 700,000 leaves, a large apple tree only has 50,000! 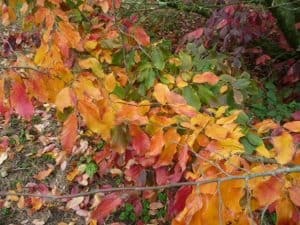 Which tree can I plant for autumn colours ? Parrotia persica (persian ironwood) has red and yellow leaves . Acer’s offer a great selection for autumn colour from the simple Acer campstre (field maple) which is our only native maple with its stunning gold to our personal favourite , Acer palmatum osakazuki which is a member of the Japanese acer family and shows amazing red and orange tints. 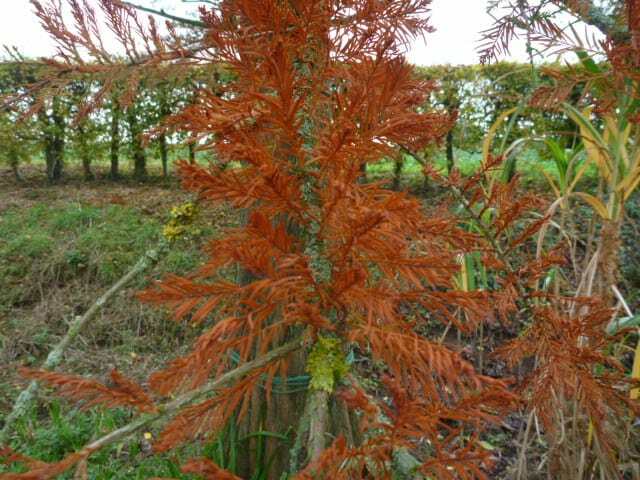 Others which have stunning colours and bark include Acer davidii,Acer forrestii and Acer pensylvanicum. 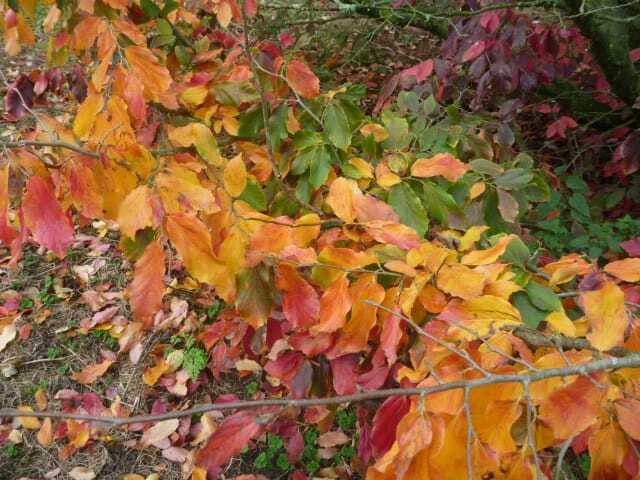 Prunus sargentii (Sargent’s cherry) has a red autumn colour. Gingko Biloba (maidenhair tree) is another great tree with its yellow colour. 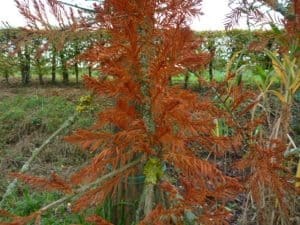 Should tree works be avoided during autumn? Certain tree care practices should be avoided. Pruning should never be carried out during the abscission period. This excludes deadwooding of trees. Tree removals are unaffected as the tree is effectively being killed off.